Edible bird’s nest (EBN) has been used as medicine for a long time. Literature witnesses the consumption of EBN as “bird’s nest soup” by Chinese populations from almost 1200 years ago. Traditional Chinese Medicine recommends EBN as one of the most important bioproducts with health improving effects such as growth promoting, anti-aging, immunity boosting, anti-cancer, anti-aging, dissolving phlegm, immunity-enchancing, alleviating asthma, curing tuberculosis, stomach ulcers and hematemesis, suppressing cough, improving voice, etc. The uniqueness of EBN in TCM is mainly due to its dual nature as it is being used as medicine on one hand and food on the other hand. There has been significant amount of research of EBN as medicine, and some of the findings are discussed in the following sub-sections. Cancer stands as the second most deadly disease after cardiovascular diseases. It has created major public health havoc globally and, therefore, the agents for its treatment have always been in great demands. Natural products as anticancer agents have always been appealing to researches owing to their promising effects within large safety margins. Presently, several natural product-based anticancer agents are used for treating different cancers. Rashed and Nazaimoon demonstrated the effects of EBN on the proliferation of caco-2 cells by using the MTT assay. The edibe bird nest samples were collected from the Department of Wildlife and National Parks, Kuala Lumpur comprising of two commercial brands and four unprocesed samples. Only 84 and 115% cells were found to proliferate on treatment with the two commercial EBN samples. However, 91, 35 and 47% cells proliferations, respectively were reported on treatment with unprocessed EBN samples from East Coast, North and South Zones. These results suggested the anticancer potential of EBN. Complementary and alternative medicine (CAM) defines a group of medical and health care systems, practices and products, which are not considered as part of conventional medicine. In Singapore, both cancer patients from western and eastern cultures were exposed to CAM ranging from health supplements to Traditional Chinese Medicine (TCM), traditional Malay (Jamu) medicine and traditional Indian (Ayurvedic) medicine. CAM usage is quite popular among cancer patients. Dietary changes, health supplements, herbal tea and birds nest were the main threapeutic ingredients of CAM. There are documented usage of Complementary and alternative medicine (CAM) in Singaporean adult cancer patients. 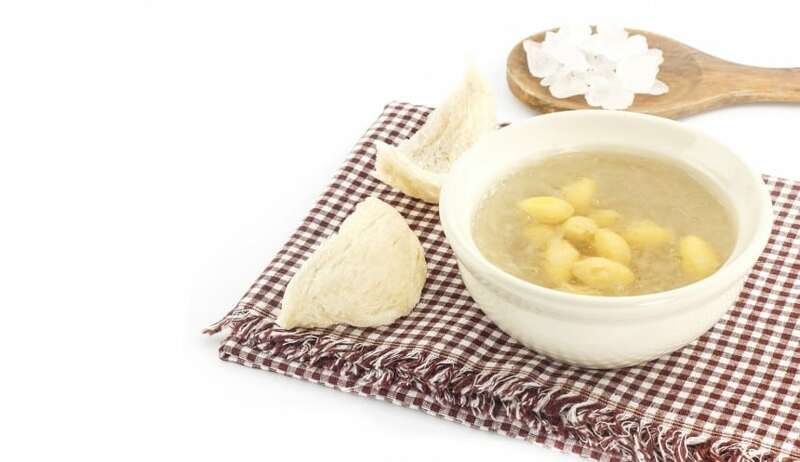 An interviewer-administered questionnaire was completed by 403 adult cancer patients under treatment at the Ambulatory Treatment Unit of National Cancer Centre Singapore, among all the patients, 46% testified CAM usage including TCM, bird’s nest and special diet. 54% respondents updated their oncologists about CAM usage and interestingly, 66.4% of the oncologists agreed with CAM usage. The effective working of CAM against cancer was felt by majority of the patients. This report indicates the benefits of the the consumption of edible bird’s nest in cancer patients, however, it is very important for health-care professionals to be updated with Complementary and alternative medicine (CAM) research and to actively provide appropriate advise and counselling. Of course, the studies involving the anticancer evaluation of edible bird’s nest and its extracts have not been carried out over a large range of cancer cells. Only one preliminary study was found in the literature. 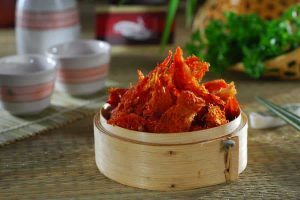 One of the reasons for the lack of research may be that edible bird’s nest is a rich food and, therefore, a growth promoter, and it is unlikely to kill cancer cells. However, this may not be true as well. Therefore, it is important to screen edible bird’s nest over a range of cancer cell lines before any meaningful conclusion can be drawn. Viruses are microscopic infectious agents that replicate only inside living cells of orther organisms. They infect all life forms including animals, plants, bacteria and archaea. Viruses exhibit several structural and biochemical effects on host cells, the cytopathic effects. Most of the viral infections lead to the lysis of cells, alterations in cell membranes and ultimately the death of host cells. Cold, influenza, chickenpox, cold sores, AIDS, avian influenza and SARS, etc. are some of the most common diseases caused by viral infections. Influenza is a viral infection caused by influenza virus. Its symptoms include high fever sore throat, runny nose, muscle pains, headache coughing and tired feeling Edible bird’s nest helps to neutralize influenza virus infection in MDCK cells and also causes the inhibition of hemmaglutination of human erythrocytes caused by influenza A viruses. After hydrolyzation with Pancreatin F, edible bird’s nest inhibits the infection caused by human, avian, and porcine influenza viruses in a host range-independent manner. However, edible bird’s nest does not inhibit influenza virus sialidase, and the active inhibiting ingredient of edible bird’s nest is susceptible to neuraminidase of influenza virus of all strains. The Collocalia mucoid is an established substrate for influenza virus sialidase, wherein the inhibition can be destroyed by neuraminidase to some extend. Owing to the activites of EBN against influenza viruses, the presence of a mixture of inhibitory substances in EBN was suggested. It was demonstrated by further studies that N-acetylneurominic acid, which is the major ingredient in EBN might be responsible for this activity. It was very interesting to note that edible bird’s nest (EBN) showed no side effects such as hemolysis and cytolysis on erythrocytes and MDCK cells even at high 4mg/ml. Thus, EBN with molecules smaller than 25 kDa after Pancreatin F treatment will be an effective and safe material as anti-virus. Further studies were carried out in this direction by Yagi and co-workers who demonstrated the N-glycosylation profile of EBN. A tri-antennary N-glycan containing the alpha 2,3-N-acetylneuraminic acid residues was displayed as a major component. The sialylated high antennary N-glycans were thought responsible for the inhibition of influenza viral infection. A thorough look into the literature indicated that there are not so many studies that could fully demonstrate the antiviral properties of EBN, and therefore, further studies are needed against different pathogenic viruses to fully explore the antiviral properties of bird’s nest. Further, it would be more advantageous if some studies are carried out wherein EBN are synergistically evaluated for antiviral properties with other antiviral agents. Stem cells represent a class of undifferentiated cells with ability of self-renewal, and differentiation into more than one types of cells. Generally, adipose stem cells (ASC’s) occur in almost every type of white adipose tisue. The pluripotent ASC’s differentiate into most of the mesenchymal cell types including adipocytes, chondrocytes, osteoblasts and mycocytes. The mesodermal origin of adipose cells make unlikely their differntiation into neural tissue of ectodermal origin. However, in vitro exposure to anti-oxidants makes adipose cells assume a bipolar morphology similar to neuronal cells. Stem cells are functionally vital for the repair of regeneration of damaged or diseased tissues. ASCs have been suggested as the best among the mesenchymal stem cells because of sufficient reverlations of their pluripotency, proliferating power and low donor morbidity. They are attractive candidates in regenerative medicine because they can be harvested in large numbers with low donor-site morbidity. Roh and associates reported the proliferation of hADSCs by treatment with EBN. EBN strongly promoted the proliferation of hADSCs via the production of IL-6 and VEGF. IL-6 and VEGF production was triggered by the activation of AP-1 and NF-kB. Interestingly the production of IL-6 and VEGF was promoted by EBN. The Production of IL-6 and VEGF was inhibited by PD98059 (ap44/42 MAPK inhibitor) and PDTC (a NF –kB inhibitor), but not SP600125 (a JNK inhibitor). Similarly, EBN-induced proliferation of hADSC was also reduced by PD98059, SB203580 and PDTC but not SP600125. This report favoured the fact that EBN-induced proliferation of hADSCs primarily occurred through augmented expression of IL-6 and VEGF genes, which was mediated by activation of NF-kB and AP-1 through p44/42 MAPK and p38 MAPK. Epidermal growth factor (EGF) causes the proliferation, growth and differentiation of cells by binding to its receptor EGFR. Human EGF is a 6045 Da protein containing of 53 amino acids residues with three intramolecular disulfide bonds. EGF is known to bind to epidermal growth factor receptor (EGFR) with high affinity on cell surface. This binding interaction stimulates ligant-induced dimerization, which in turn activates the intrinsic protein-tyrosine kinase activity of the receptor. The activation of tyrosine kinase activity results in a signal transduction cascade causing several biochemical changes within the cell, the rise in intracellular calsium levels, increased glycolysis and protein synthesis, and the expression of certain genes including the gene for EGFR. All these cellular changes ultimately lead to DNA synthesis and cell proliferation. Kong and associates demonstrate for the first time that some ingredient is present in EBN with EGF-like activity. The authors observed that the EGF-like agent in EBN stimulated thymidine incorporation in quiescent culture of 3T3 fibroblasts. A critical analysis indicates that the EGF-like component of EBN may be responsible for its rejuvenating properties. However, studies are needed to identify the substance, elucidate its structure and explore its possible potential for other biological effects alone, and in EBN as a formulation both in vitro and in vivo. Bones are hard and strong structures in human body forming the skeleton system and provide enormous support and protection to important organs of the body. Besides, bones are the resevoirs of red and white blood cell production, store minerals in addition to helping in movements and locomotion. It is a well-known fact that strong bones make a strong body and vice versa. Matsukawa and co-workers documented that the enhancement in bone strength and dermal thickness due to supply of EBN in diet in ovariectomized rats. They observed that oral administration of EBN enhanced calcium concentration and therefore, bone strength in femur of ovariectomized rats was improved. Additionally, ermal thickness also increased by the administration of EBN. However, EBN had no effect on the serum estradiol concentration. These results were an indication of the fact that EBNE was effective in the improvement of bone strength and skin anti-aging in postmenopausal women. Osteoarthritis (OA); a degenerative disease degrades joints including articular cartilage and subchondral bone This disease is characterized by acute pain and often causes loss of ability and stiffness. EBN has been documented to contain some important ingredients reducing the development of osteoarthritis and helping the regeneration of cartilage. The effect of EBN on the catabolic and anabolic biochemical activities of the human articular chondorcytes (HACs) isolated from the knee join of OA patients was described by Chua. The study indicated that 0.50-1.00% of the EBN hot-water extract addition promoted the proliferation of HACs. Besides, the reduction in the expression of catabolic genes such as matrix metalloproteinases (MMP1 & MMP3), Interleukin 1, 6 and 8 (IL-1, IL-6, IL8), cyclooxygenase-2 (COX-2) and inducible nitric oxide synthase (iNOS) in cultured HACs was observed due to EBN supplementation. Additionally, prostaglandin E2 (PGE2) Production was significantly reduced in HACs. However, type II collagen, Aggrecan and SOX-9 gene expressions in addition to sGAG production was increased as revelaed by anabolic activity assessment. This report revealed the in vitro chondro-protection potential of EBNE on human articular chondrocytes. Thus, EBN may be suggested as a potential agent for the treatment of osteoarthritis. Eyes are the sensory organs that react to light resulting into the sensation of sight. Rod and cone cells forming retina allow conscious light perception and vision. Human eye distinguishes approximately 10 millin colours. Cornea forms the transparent frontal portion of the eye covering iris, pupil and the anterior chamber; and consists of three cell layers: epithelium, stroma, and endothelium. Each layer carries specific function and ensure the optimal functioning of cornea in normal mission in addition to acting as protective barrier from external environment. Corneal stroma, which is filled by keratocytes bound by extracellular matrix forms about 90% of the corneal volume. Keratocytes originate from mesenchyma of the corneal stroma and ensure the synthesis and maintenance of the extracellular matrix (ECM) components. The cornea is generally damaged by injuries such as abrasions, localized burns or surface or depth injuries. For the development of medications for the care of keratocytes; Zainal Abidin demonstrated the effects of EBN on rabbit corneal keratocytes. The EBN effects were investigated on six New Zealand White Rabbits using MTT assay in FDS and FD. The highest cell proliferation was observed when both edia were supplied with 0.05% and 0.1% EBN, and cell proliferation was consistently higher in FDS compared to FD. The corneal keratocytes conserved their phenotypes with EBN addition, which was confirmed by phase contrast micrograph and gene expression analysis. This report revealed the fact that low EBN concentration synergistically induced cell proliferation, especially in serum containing medium. This is a very important breakthrough since both cellular proliferation and proper functioning maintenance are essential during corneal wound healing. Neurodegeneration involves the progressive loss of the structure and function of the basic units of nervous system, neurons. Neurodegenerative diseases including Alzheimer’s, Parkinson’s and Huntington’s occur as eventual results of neurodegenerative processes. Globally Parkinson’s disease, an age-related progressive neurodegeneration was estimated to be prevalent in approximately 9 million people over the age of 50 years by the end of 2030. Parkinson’s disease is characterized by the loss of dopaminergic neurons in substantia nigra and consequently leading to dopamin depletion in the striatum. In addition, abnormal accumulation of a-synuclein has also been reported in surviving neurons. The dopamine depletion wanes motor functions and causes the patients to show clinical signs including tremor, rigidity and slow responsiveness. Yew investigated the effect of EBN on SH-SY5Y human neuroblastoma cells. It was observed that the crude EBNE did not cause the death of SH-SY5Y cells up to 75 ,ug/ml concentrations. Besides, the maximum non-toxic dose (MNTD) of water extract of EBN was double to that of crude extract. Moreover, the intensity of 6-hydroxydopamine-induced apoptopic changes in SH-SY5Y cells reduced by EBN treatment, which was clear from morphological and nuclear staining observations. Further, it was interesting to note the improvement in cell viability with crude EBN extract in coparison to the water extract. However, water extract was more potent in improving ROS build up, early apoptotic membrane phosphatidylserine externalization and the inhibition of caspase-3 cleavage. It is quite evident from this reearch article that EBN induce neuroprotective effects agains 6-6-hydroxydopamine-induced degeneration of dopaminergic neurons via the inhibition of apoptosis and, hence, may serve a possible nutraceutical option for the protection against oxidative stress-relateive neurodegenerative disorders. There are several anti-oxidant systems within the human body that negotiate the oxidative stress from regular metabolic processes. Additionally, the dietary anti-oxidants also fight with the cell-damaging effects of free radicals. Dietary anti-oxidants may act either independently or in association with the endogeneous systems, and have always been beneficent to human health. Their absence in diet causes several diseases due to unrestricted oxidative stress. Several fruits and vegetables have exhibited protective effects against some cancers and other diseases. This is the reason that the people regularly consuming anti-oxidant rich fruits and vegetables have lesser frequencies of these of diseases. EBN has been shown to to display anti-oxidant properties as it contains several bioactive compounds such as glucosamine, lactoferrin, sialic acid, amino acids, fatty acids, triacyglycerol, minerals, vitamins and other anti-oxidants. The in vitro bioaccessibility and anti-oxidant properties of water extracts of EBN are documented by Yida by using ABTS and oxygen radical absorbance capacity (ORAC) assays. The undigested water extract of EBN demonstrated a little anti-oxidant activity (1 and 1% respectively at 1000 ,ug/mL) in comparison to the digested samples at similar concentrations (38 and 50%, respectively). Importantly, the EBN extract were non-toxic towards HEPG2 cells and showed protective effects from hydrogen peroxide induced-toxicity towards HEPG2 cells. This study indicated that the digestion in gut releases the bioactive components of EBN from their matrix, which are then absorbsed by passive transport. However, in vivo studies are needed to determine their further clinical significance. Obviously, EBN is a nutritious food material and displays a broad spectrum of biological activities. The presence of health promoting ingredients in EBN, and its use in Traditional Chinese Medicine (TCM); have made it a subject of great interest. 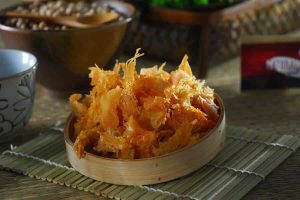 In addition to the biological activities of bird nest mentioned in the above sub-sections, it has exhibited several other biologically important properties such as lecin binding properties, cure to asthma, dry coughs, tuberculosis, stomach ulcer and gastric troubles. There has been a great demand of skin care therapies including creams, analgesics, anti-acne and moisturizers throughout the world. 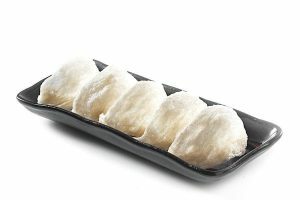 Bird nest has the reputation for skin texture and complexion improving properties among the Chinese communities. Its consumption is known to help retain youthfulness and a clean clear facial complexion. Edible bird nest also used for skin texture improvements in babies with frequent skin rash outbreaks. Some companies developed a skin-whitening/moisturizing eye mask with compositions of sargassum, edible bird nest, hydrolyzed pearl, aloe juice, anglica dahurica powder, soybean protein, euphorbia lathryris, butanediol, tri-thyglycine by weight parts. The formulation was very useful for moisturizing and nourishing skin around the eyes. Besides, it was also quite useful for the treatment of dark circles around eyes, and the repar of the elasticity of skin around eyes. Li and Peng developed a super elastic moisturizing face mask essence with compositions of WSK Tremella fuciformis extract, hydrolyzed soy protein, allantoin, EDTA-disodium, glycerol, betaine, propanediol, carbopol, triethanolamine, flavour and antiseptic by weights percents, and water as balance. Tremella fuciformis extracts and hyaluronic acid continuosly ensured the release of moisturizing factor, and lock moisture and vitamin E. This mechanism leads to skin nourishment and moisturization, and therefore increasing skin activity along with the enchancement of skin barrier to obtain ideal moisture state. 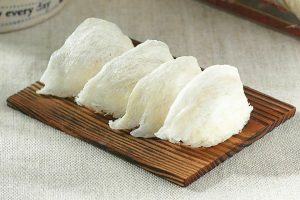 Edible bird nest is very useful to people with poor digestion, recovering from illness, and children with weak appetite. It is an easily digestible food and delivers essential nutrients into the body and therefore, brings health to those who are weak. Good quality edible bird nest, like the ones supplied by the Premium Nest Australia, consumption is beneficent for the restoration of lung functions and in people with dry cough and periodic sputum stains, e.g., in heavy smokers. High quality genuine bird nest is very beneficial to pregnant women before and after child birth. Pregnant women who consume edible bird nest recover faster after delivery of healthy and fair skinned babies, and experience considerably lesser hair loss. For post-pregnancy health of women, the supplementary of bird nest soup or drinks provide more energy, better sleep, and give the feeling of vitality to the mothers. Nephiritis is a painful disorder characterized by the inflammation of kidneys. Glomeruli, tubules and even interstitial tissues surrounding the glomeruli and tubules are jointly involved in this complication. Nephritis is basically caused by infections, some toxins and auto-immune disorders. It is a serious medical condition and represents the eighth highest cause of death in human beings. Experts formulated a Chinese medicine to treat nephiritis with edible bird nest as one of the ingredients. The formulation was prepared by slicing Panax quinquefolium, soaking the bird nest with water, adding chicken soup and smashing rock sugars in it. Finally, all the contents were decocted for 2 hours. The preparation was highly useful in providing therapeutic relief to nephritic patients. 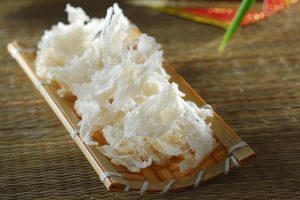 In conclusion, it can be said that high quality edible bird nest is a versatile food with a range of beneficial health effects. Several cosmetical products using EBN as one of the ingredients have already hit the market with great responses. However, its investigations for the treatment of diseases are still in early stages. Therefore, more research is needed to fully explore its potential as a product of breakthrough for its medicinal properties. great product. love it. will buy again. Thanks Thi. Glad that you love our products.